Mother Teresa, a nun who dedicated her life to helping the poor in India, will be canonized as a saint September 4, Pope Francis announced Tuesday. The date falls on the eve of the anniversary of her death, which occurred on September 5, 1997. In December, Pope Francis announced that Mother Teresa would be declared a saint after recognizing a second miracle attributed to her: the healing of a Brazilian man with multiple brain tumors after loved ones prayed to her, the Italian Catholic bishops’ association’s official newspaper Avvenire reported. That miracle occurred after her death. The nun was beatified in October 2003 by now deceased Pope John Paul II. He approved a first posthumous miracle. A 30-year-old woman in Kolkata said she was cured of a stomach tumor after praying to Mother Teresa. A Vatican committee said it could find no scientific explanation for her healing and declared it a miracle. Mother Teresa was born in 1910 in Albania and baptized Gonxha Agnes, the Vatican said in her biography. At age 18, she joined an Irish convent, where she received the name Sister Mary Teresa. Months later, she left for India, landing in Kolkata, the city then known as Calcutta, in January 1929. She taught at St. Mary’s School for girls. There, she took her Final Profession of Vows and became Mother Teresa. Nearly 20 years later, during a train ride in India, she felt a calling from Jesus to care for the poor, her Vatican biography said. She established Missionaries of Charity to serve the poorest of all. In 1948, she donned her iconic white sari with blue trim for the first time and walked out of her convent to start her life caring for the poor. She washed the wounded, cared for the sick and dying, and some of her former students joined her over time. She spread her work throughout India. 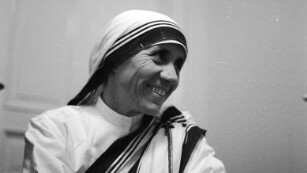 Mother Teresa won the Nobel Peace Prize in 1979. Pope John Paul II waived the requirement of waiting five years after a person’s death to pursue the path to sainthood and opened Mother Teresa’s Cause of Canonization less than two years after her death. What is Advance Tax? How to Calculate & Pay Advance Tax? Advance Tax means that you are required to pay tax to the government on your income throughout the year as you earn this Income. Who is it applicable for? If in a financial year your total tax liability exceeds Rs 10,000 you will be required to pay Advance Tax. Do remember to include all heads of income calculating Advance Tax. Senior citizens, those who are 60 years or older and do not run a business, are exempt from paying advance tax. Let us point out Tax Deducted at Source (TDS) as a concept. When you receive any income (your salary, Interest Income), many a times, the person paying you will deduct TDS before paying you. If the TDS deducted is more than your tax due, then you may not have to pay advance tax. Salaried Employees: If you work at a company and earn a salary, your employer is going to deduct TDS on salary. So you don’t have to deal with advance tax. However, if you have Interest Income from Fixed Deposits, etc which is more than Rs. 50,000, you should calculate your tax due as you may have to pay advance tax. This trips a lot of people over as they do not know they are liable for advance tax! Freelancers: Freelancers almost always have advance tax due. This is because when freelancers get paid, TDS deducted by the person paying the freelancer is usually not enough! Estimate your Freelancing Income: Add the expected income from your clients. If you have ongoing agreements which lay out payment terms, use those for estimating your income. Add up all other Income: Add expected income from other heads like House Property, Interest Income, etc. Apply the latest Income Tax Rates to calculate your tax due. Do remember to reduce any TDS that may have been deducted from your Income. If the remaining Tax Due exceeds Rs 10,000, you are required to pay Advance Tax as per the due dates mentioned below. Note that you are not required to submit any supporting documents while paying your advance tax. In case some of your expected income or expenses have undergone a change, you can always re-estimate your income and adjust payments accordingly, before paying the next installment. How to pay Advance Tax? Here’s how you can pay your advance tax to the government Pay Advance Tax. In case due to some reason you are unable to pay Advance Tax note that Interest under Section 234B and Section 234C may become applicable. A person shall not be a citizen of India by virtue of this section if at the time of his birth-(a) either his father or mother possesses such immunity from suits and legal process as is accorded to an envoy of a foreign sovereign power accredited to the President of India and he or she, as the case may be, is not a citizen of India;(b) his father or mother is an enemy alien and the birth occurs in a place then under occupation by the enemy. Congress vice president Rahul Gandhi has some explaining to do to Parliament, on why some documents pertaining to a British company list him as a UK national. On Monday, the Ethics Committee of Parliament served him a show-cause notice, asking him to confirm if he had declared himself as a British citizen during his stay in the UK. BJP veteran LK Advani heads the Ethics Committee. BJP leader Subramanian Swamy wrote to PM Narendra Modi demanding that the government should strip Rahul Gandhi’s Indian citizenship and parliamentary membership while alleging that he declared himself a British citizen in order to float a private firm in the UK. While Rahul has been declared as an Indian in company documents and other annual returns, he has been mentioned as ‘’British’’ with a UK residential address for the returns of 2005, 2006 and 2009. A defensive Congress admitted in November that it could have been a “typographical” error by an accountant in charge of filing returns. It said, “if somebody has committed an error while uploading, it can be corrected. It is correctable”. On November 30, 2015, the Supreme Court had struck down a PIL which had sought CBI investigation into the citizenship of Congress vice-president Rahul Gandhi. The court had noted that PIL pleas were a medium to alleviate human suffering through good governance and were not meant to target an individual or organization. In January, BJP’s Delhi MP Maheish Girri had written to Lok Sabha Speaker Sumitra Mahajan saying, “Many contradictory facts against Congress vice-president Rahul Gandhi have come up. There is a big mystery over his citizenship now. If he is a citizen of two countries, then it’s a matter of serious concern. It is very important to clear the speculations hovering”. A perusal of UK’s Companies House records reveals three versions with respect to his nationality: some records relating to Rahul Gandhi’s company, Backops Limited, show him to be a British national; some other records of the company show him as an Indian national; and a third record shows him as British but with a dubious handwriting change with the word ‘’British’’ being scratched out and replaced by ‘’Indian”. The Companies House has not been available for comment on the existence of these three different records containing discrepancies. “Hiding details about the nationality of directors is a fraudulent activity, most probably punishable by a fine”, said Raj Ruparelia, Principal at Bassetts Chartered Accountants. “Though there are no obvious tax advantages either for the British or Indian company directors. Perhaps some prospective investors and shareholders might be more inclined to invest in a company that is owned by the British directors. But there is evidence here that one of the directors was aware of this discrepancy and was trying to amend it,” he said. With the simultaneous existence of three records of differing nationality in relation to his company Backops, Rahul Gandhi seems to be on a sticky wicket and it remains to be seen which way this whole issue pans out. Kumbh Mela is a mass Hindu pilgrimages of faith in which Hindus gather to bathe in a sacred river. It is the world’s largest religious gathering. It is held every third year at one of the four places by rotation: Haridwar, Allahabad (Prayag), Nasik and Ujjain. Thus the Kumbh Mela is held at each of these four places every twelfth year. Ardh (“Half”) Kumbh Mela is held at only two places, Hardwar and Allahabad, every sixth year. The rivers at these four places are: the Ganges (Ganga) at Haridwar, the confluence (Sangam) of the Ganges and the Yamuna and the mythical Saraswati at Allahabad, the Godawari at Ujjain, and the Shipra at Ujjain. Legend has it that in the mythological times, during a waging war between the demigods and demons for the possession of elixir of eternal life, a few drops of it had fallen on to four places that are today known as Prayag, Haridwar, Ujjain, and Nasik. It is believed that these drops gave mystical powers to these places. It is to make oneself gain on those powers that Kumbh Mela has been celebrated in each of the four places since long as one can remember. The normal Kumbh Mela is held every 3 years, the Ardh (half) Kumbh Mela is held every six years at Haridwar and Allahabad (Prayag) while the Purna (complete) Kumbh mela takes place every twelve years, at four places Prayag (Allahabad), Haridwar, Ujjain, and Nashik, based on planetary movements. The Maha Kumbh Mela is celebrated at Prayag after 144 years (after 12 ‘Purna Kumbh Melas’). Depending on what position the Sun, Moon, and Jupiter hold in that period in different zodiac signs, the venue for Kumbh Mela is decided.